A loan of $10,000 helped my business establish marketing and increase inventory in order to boost sales. I moved to Phoenix, Arizona at the age of 18. I knew little English so I went to an Adult Learning Center and later I attended Phoenix Job Corps Center where I earned my Office Administration Certification and High School Diploma. For higher education, I attended Gateway Community College for which I earned my Associates in Business and Business Administration. I then met my future wife Rebekah Bideri and she too had entrepreneurial spirit. She was born and raised in Phoenix and she would get involved in here own businesses such as Avon, Legal Shield, Volunteer Work, Notarizing, and more. Our first kickstart was when we got invited to Rasta Festival event where we showcased our products. We were motivated to continue and grow so we sold our products in outdoor Swapmeets. Because of the weather we decided to find an Indoor Swapmeet. We are inside of Phoenix Marketplace which we sell and provide Africa Heritage and Health & Beauty natural products. We had expanded many times in business, and now we are raising two beautiful daughters K-Lynn and Desiree. Our goal is to continue to further provide and promote African culture by providing quality Africa Heritage products, and make our own products, expanding locally and further Internationally to further help people to get quality products on their health and Beauty needs and keep promoting African culture. It helps a refugee from Tanzania to grow his business and expand inventory. In 2015, I pursued my passion by starting my own business in the United States of America (USA), that of selling Africa Heritage products such as Dashiki: Shirts, Prints, Shorts, Dresses, African Prints, jewelries. Also, Health & Beauty products such as Oil fragrances, Incenses, Chew sticks, Black soaps, Shea Butter Soaps, and more. I was selling my products door to door in apartments, in streets, in events and fairs. So, when my wife and I got married we put our ideas together since she was business oriented as well and we grew bigger. We were invited to events and from there we wanted and needed our own shop. B&R African Styles promotes and sells African Culture products and takes care of your health and beauty needs inside and out. We have funded ourselves up to this point, however we currently operate with six part-time employees. Our goal is to fully employ our part-timer employees full time. Also, we strive to partner with more businesses and welcome investors into our business. We are facing a big inventory challenge, and keeping up with a huge demand of our products. Our goal is to grow our business and expand it, we want open multiple locations in Phoenix areas here in Arizona. As legacy we will pass our businesses to our children. Funds will help us not just to increase inventory but as follows: 1. $4500.00 will be used for inventory purchases. 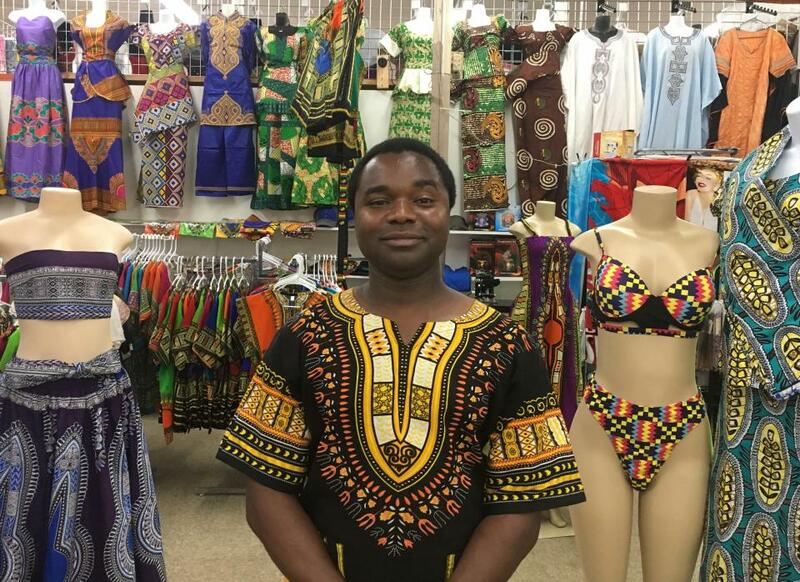 The inventory purchases include Africa Heritage such as Dashiki: shirts, prints, shorts, dresses, exotic swimsuits, African prints, and plain t-shirts for customization, new heat press machine, and African jewelries. Also, Health & Beauty products such as black soaps, Shea butter lotion, Oil fragrances, Incenses, Incense holders, and Chew sticks. 2. $1500 will be used to improve my business website, increase online presence, and boost advertising and market research budget 3. $1500 will be used to increase sales training tools (laptops, sales books) for ourselves and our employees 4. Any remaining funds from this loan will help me supplement cash flow, pay business rent, and pay employees This loan will help me to maintain a good amount of cash flow and to increase the business revenue from my current $20,000.00 a year, to roughly $80,000.00 annually. My family has sacrificed a lot of time, energy and money in our business. The loan will help support my family and grow my business because we need this business alive and well so that it can be passed down to our children also. We strive to keep providing Africa’s heritage throughout generation to generation. That is our aim and goal. I believe this loan will help us to achieve and accomplish our mission and goal. Why are you endorsing Perodin?